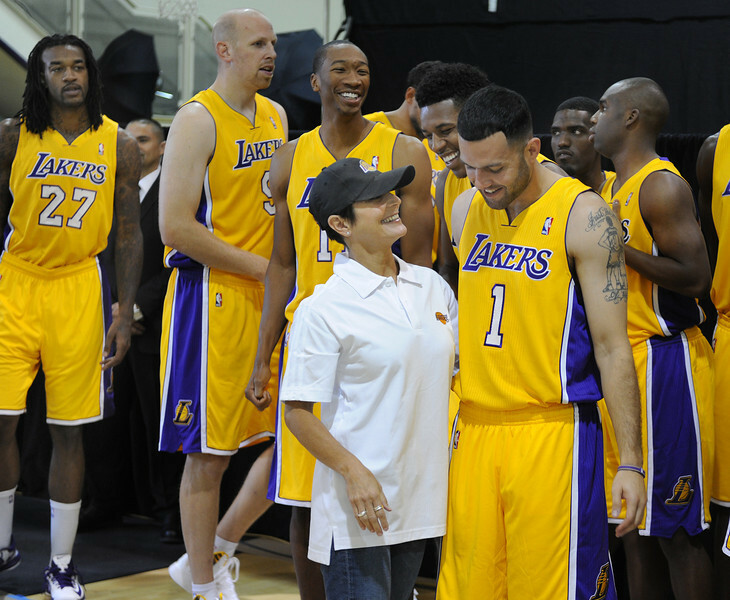 Lakers Media Day always represents a large sampling of seemingly every single media outlet imaginable asking, grilling, flattering, annoying, joking with players. The team’s annual event on Saturday marked a smaller gathering than usual, a reflection of diminished expectations following a championship-caliber roster flaming out in the first round of the playoffs. But as Los Angeles Daily News staff photographer John McCoy shows in his photo gallery, there were still plenty of sights and sounds going on at the Lakers’ practice facility at El Segundo. This entry was posted in Kobe Bryant, Steve Nash by Mark Medina. Bookmark the permalink.